George Cornelius Schmidt: teacher, community leader, and churchman; born 21 November 1938 on the family farm at Baadeln, Kreis Rosenberg, Prussia. He was the second child of two sons and two daughters of Max Schmidt (30 March 1903, Klein Brodsende, Kreis Stuhm, Prussia - 23 May 1975, Chilliwack, British Columbia, Canada) and Charlotte (Dirksen) Schmidt (24 October 1906, Lichtfelde, Stuhm, Prussia - 24 February 1982, Chilliwack, British Columbia). On 22 August 1964 he married Karen Neufeld, daughter of Henry J. Neufeld (1903-1977) and Frieda (Federau) Neufeld (1911-2008). George and Karen had two daughters, Karis and Rachel, and one son, Robert. George died of cancer on 9 February 2009 in Abbotsford, British Columbia and was buried in the Greendale Mennonite Cemetery. George was not yet a year old when the Second World War began on 1 September 1939, only about 100 kilometers from their home. His father was inducted into the Wehrmacht in 1941. In mid-winter 1945, George, his mother and three siblings were forced to flee their farm and community. They joined the many other refugees already streaming westward. The fearful journey was filled with tragedy, months of starvation and the death of his older sister Lieselotte. After the war ended, the Schmidt family was reunited and in fall 1951, they immigrated to Canton, Ohio, USA. The Schmidt family moved to Greendale, British Columbia (BC) in 1954 and joined the First Mennonite Church in Greendale. George graduated from Chilliwack High School in 1957 after which he attended one year at Bethel Bible Institute in Clearbrook, BC. After completing grade 13 at Mennonite Educational Institute, he went on to complete a Bachelor of Education at the University of British Columbia. After several years teaching at Little Mountain Elementary School in Chilliwack, George studied at the Associated Mennonite Biblical Seminaries (AMBS) in Elkhart, Indiana where he received a Bachelor of Divinity (BD) degree in 1968 (later upgraded to a Master of Divinity degree in 1996). During his second year of studies, George was an exchange student for a year at Interdenominational Theological Center in Atlanta, Georgia, a consortium of African-American schools. Later, George completed a Master in Adult Education Administration degree at the University of Western Washington in 1978. 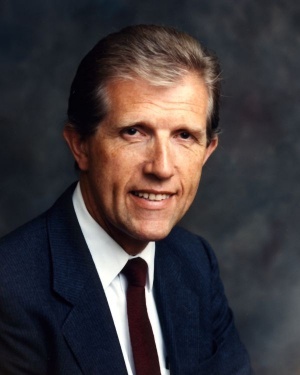 Schmidt joined the faculty of Bethel Bible Institue (BBI) in Clearbrook in 1968, and was principal in 1969-70 when it was decided to merge BBI and the Mennonite Brethren Bible Institute to form Columbia Bible Institute (CBI, now Columbia Bible College [CBC]) in 1970. George the teacher taught for nearly 40 years, including 34 years at CBC, where he also served in several administrative positions. He served as Dean of Students for many of these years, and developed relationships with hundreds of students during his time at the college. George the community servant helped in 1970 to establish Kinghaven, a recovery house located on the campus formerly owned by Bethel Bible Institute, for male addicts and alcoholics. He served on their board for the rest of his life. George the churchman served his church, West Abbotsford Mennonite Church, various boards including Mennonite Educational Institute and Associated Mennonite Biblical Seminary, and various committees of the Mennonite Church provincial and general conferences. During the summers of 1976 and 1977, George served as program director at Camp Squeah near Hope, BC. From 1980 to 1982, George took a leave from CBI and relocated with his family first to Switzerland, where he taught at the Europäische Mennonitische Bibelschule in Bienenberg for one year, followed by a year in Bechterdisen, Germany, where he worked with the Aussiedler immigrants from the Soviet Union. George will always be remembered for his patient tenacity and unconditional love for all people. He "walked with God" and left good footprints for others to follow. Matthies, Neil. "Schmidt, George C. (1938-2009)." Global Anabaptist Mennonite Encyclopedia Online. February 2011. Web. 23 Apr 2019. http://gameo.org/index.php?title=Schmidt,_George_C._(1938-2009)&oldid=133747. Matthies, Neil. (February 2011). Schmidt, George C. (1938-2009). Global Anabaptist Mennonite Encyclopedia Online. Retrieved 23 April 2019, from http://gameo.org/index.php?title=Schmidt,_George_C._(1938-2009)&oldid=133747. This page was last modified on 4 March 2016, at 07:22.